San Francisco, CA, April 7th. 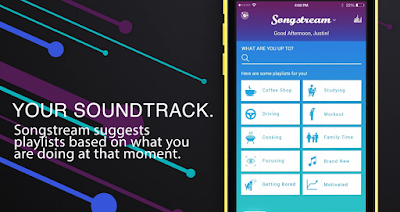 Songstream, the critically acclaimed free on-demand music streaming iOS app announces two new major features: “Pulse”, a new playlist recommendation service based on activities the user could be doing throughout the day, and a web-based version of the service. “We really want Pulse to become the heartbeat of the service. Playlists are the new mixtape and are transforming the way we listen to music. 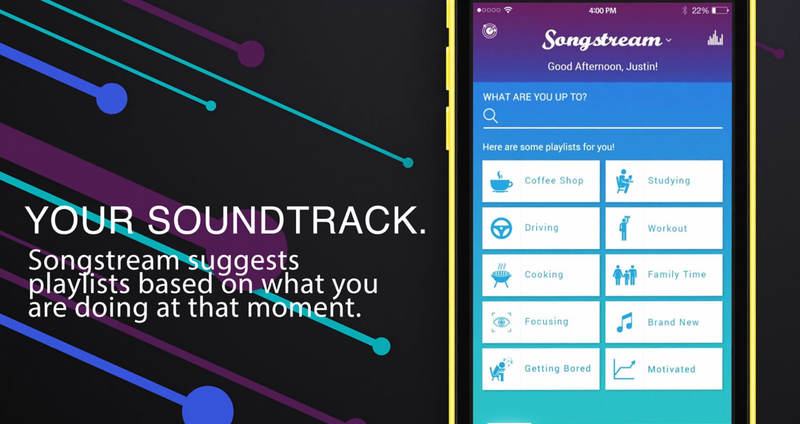 Taking it a step further by offering contextual playlists based on activities people are doing throughout their daily life almost turns these playlists into “life soundtracks” for our users”, stated Justin Yonan, CEO of Songstream. Imagine waking up, pouring yourself a cup of coffee and listening to the “Drinking Coffee” playlist. Or, after a long day of work being offered the “After Work Commute” playlist to help decompress. Pulse already has a list of over 40 daily activities and plans to build that number to over 100 activities by the end of the year. “We also wanted to provide users with a free and easy way to listen to music while browsing the web. Now users can stream their favorite music and playlists on their computer”, added Mr. Yonan. The web version is available at http://www.songstream.fm and it already comes with several trending playlists. Additionally, users can create their own playlists and add favorites to play the music later. It’s a great opportunity for non-iOS users to enjoy the powerful features of Songstream.